Trajan King has over 20 years of experience in both Silicon Valley and Wall Street. He is a world traveller and the founder of 15 startups. I first discovered him through an episode of the Culture Matters Podcast, where the topic was what startups are facing internationally. Currently, Trajan is the CEO of two companies: ExactConversion.com and Invincible Robots, which includes his online training community, Invincible Startup. As a public speaker, he uses stories from his own experiences to teach other entrepreneurs how to grow their businesses and build a company they can be proud of, as well as a lifestyle that suits them. 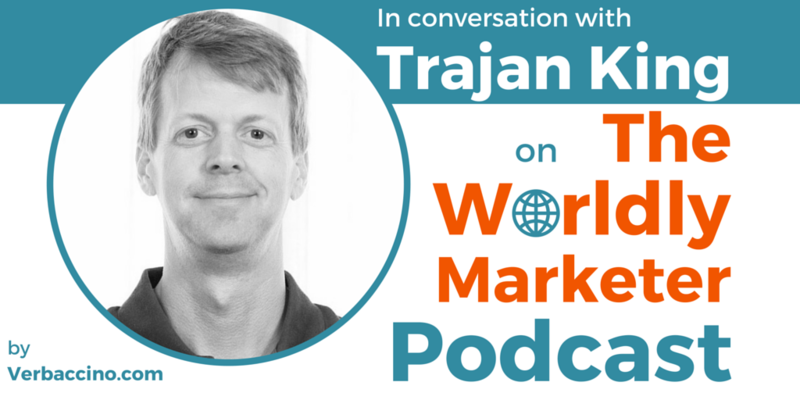 Trajan has built a business that allows him to travel to the world, living in countries like France, Italy, Germany, Portugal and Brazil while studying the language and connecting with the people in each city.